Papermill Ruins | Just Shooting Memories! It is odd how ruins of a building can tell so much about what it used to be, but still leave out so much. 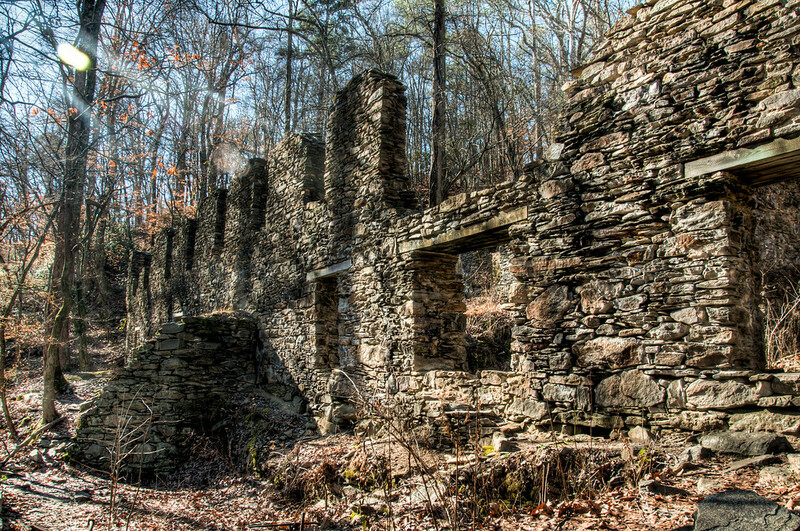 These ruins are just north of Atlanta and used to house a papermill. There is not much left other than a few outer walls from the building and nothing of the inside rooms. After having been inside manufacturing plants, it’s hard to believe that this would have been the equivalent many years ago.